Hardeg Castle is located in the German city of Hardegsen which situated in Northeim, which is located in the picturesque region of Lower Saxony. Hardeg is located 15 kilometers northwest of the town of Gottingen. Only the Hardeg Castle is a medieval mansion, which today is covered with debris. To it belongs the new building of Hardeg and the entire complex is accessible to public visits. In 1324 Muthaus was erected and is the old original part of Hardeg. The basics of the castle itself, however, were made somewhere in the 12th century. Muthaus of castle Hardeg is considered the oldest secular building in Lower Saxony. Indeed, the assumptions are that the true ancestor of the medieval fortress in Hardeg was erected in the area around 1000, slightly west of this Muthaus. The 14th century saw the transformation of the fortress Hardeg in what is largely seen today in the complex. The fortress has even something like sewage, as the land has had installed wooden pipes carrying water from the spring Lunau which indulged fully the needs of the castle. Owners of the castle during the Middle Ages were the Conrad Knights and Ludwig von Rosdorf, which pay pretty heavily for their luxurious mansion Hardeg, but eventually when it was completed it was destroyed for them as the castle was passed to Duke Otto. 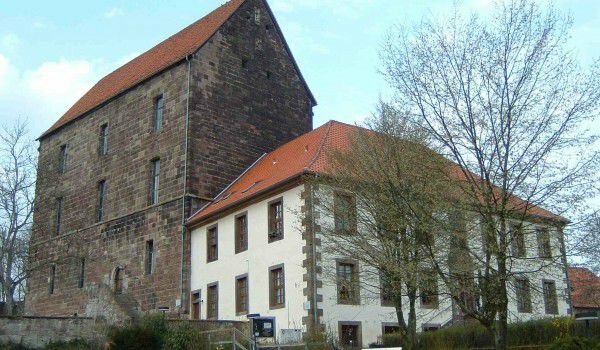 Besides the authentic building Muthaus, in the northeast corner of the castle is located Hagenhaus, which is also considered an original structure. All other buildings are newer than those two buildings. Inside Hardeg especially interesting is the Knight's Hall, which is a perfect example of how it looked as the ballroom in the Middle Ages. Today Hardeg hosts different events such as concerts, banquets, weddings, etc.